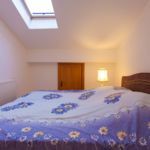 Rooms, services Apartmani Matic Malinska is offering three tasfefully furnished, nice rooms for those looking for a place to stay at in Malinska. You are free to bring a four-legged friend along, the apartment also allows small pets during the stay for an extra fee. There is a parking space available on the spot, so in case you are arriving by car, you will be free to leave it there without any additional costs. All rooms are equipped with air-conditioning, ensuring optimal room temperature in all types of weather. Wireless Internet connection (WiFi) is available at the apartment, ensuring that you can stay up-to-date during your holiday. All rooms are equipped with a separate toilet and bathroom. An exact and detailed list of equipment in the rooms and of the services provided by Apartmani Matic Malinska you will find on the information sheet below and on the information sheet of the individual rooms, including any applicable additional fees. Location The apartment is located Rocky beach 800 meters, Gravelly beach 800 meters. Payment You may pay your reservation in cash only. Apartmani Matic Malinska requires 20% advance payment prior to finalizing your reservation. Arrival, opening hours The earliest arrival time is 14:00, the latest time to leave the rooms is 10:00. The personnel can speak English, German, Italian and Croatian languages. Reserve your accommodation and Apartmani Matic Malinska will directly send the confirmation in 1 workday. 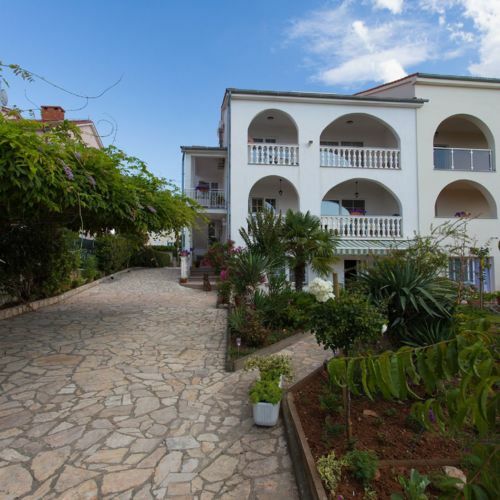 The rating of Apartmani Matic Malinska is 6.3 from the maximum 10, 1 based on actual and valid guest ratings and reviews.